Ella-Rose weighed just over one pound when she was born. At exactly 500g, she was the tiniest baby I had ever seen. But I knew from the moment I saw her that she was a fighter. And seeing how much strength she has I know she will be home with me in time for Christmas and defy the doctors’ expectations. In the meantime she is growing stronger every day in Royal Victoria Infirmary (RVI) and I’m never more than a few moments away as I’m being supported at Crawford House, run by The Sick Children’s Trust, which means I can always be by her side. I was 26 weeks pregnant when I began to feel ill. I had been on my feet all day, and by the time I got home, knew something wasn’t right. In the middle of the night, and feeling worse with a severe headache and nausea, I called 111 and they advised me to go straight to my local hospital, University Hospital of North Durham, for a check-up. My Mum was away on holiday, but luckily a friend drove me there at 3.30am. From the moment I arrived at the hospital everything became a bit of a blur. I remember that my blood pressure was incredibly high and there was far too much protein in my urine. But I felt more panicked than ever as I was put onto a paracetamol drip and warned I might be about to lose my baby. I was suffering from severe pre-eclampsia and a scan revealed there was hardly any amniotic fluid left surrounding Ella-Rose. It was life-threatening. Things weren’t looking good for either of us and it wasn’t long before I was being blue-lighted to RVI and given a steroid injection to help develop my baby’s lungs as quickly as possible. The doctors told me I was going to deliver in the near future, but with a due date of 5 November, over three months away, nothing could have prepared me for having my baby the very next day. But that’s what happened. Less than 12 hours later another scan revealed that Ella-Rose was very unhappy, with no amniotic fluid surrounding her, and making few movements. Her heart rate was dropping fast. Just a day and a half after taking myself for a check-up in Durham I was being prepared for an emergency caesarean. As the general anaesthetic began to overwhelm me and I became only vaguely aware of the shadowy outlines of doctors and nurses swarming around my hospital bed, I felt momentarily terrified. Because I was so ill myself, it was two days before I knew what had happened. My baby was alive but fighting for her life on the neonatal intensive care unit (NICU). Three days after having Ella-Rose I was discharged. I was put on the waiting list for a room in Crawford House, but because there is such a high demand with many families needing to be by their sick child’s bedside, I had to be patient. Over the next week my Mum drove me to and from Newcastle every day as I waited for a room to become available. 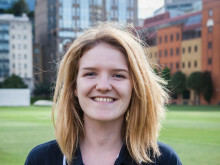 She is a full-time carer to my severely disabled brother and home is Durham – 40 minutes away – so I wasn’t even able to spend much time with my daughter. It was horrible having to say goodbye to my tiny baby and a little bit of my heart broke every time as I left her there on the ward all alone. Thankfully a room became available once that week was up and I moved into Crawford House straight away. I couldn’t believe how lovely the place was. 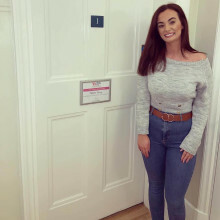 Just as The Sick Children’s Trust says, it is a real ’Home from Home’; it had a fully stocked kitchen, huge living area to relax in and watch TV and I was given a cosy bedroom equipped with a phone that was connected directly to the ward where Ella-Rose was being treated. Immediately the stress and anxiety of the past week lifted and I could focus all my attention and energy on being there for her. To stay just moments away from your baby, when you’ve got to produce milk, express it, take it into NICU for feeds, and whilst being able to spend all your time with your newborn, is amazing. Thanks to The Sick Children’s Trust’s support you’re focusing on being there for your baby, not on where you might sleep or how you might travel. Because of Ella-Rose’s prematurity her lungs were very underdeveloped and she has been diagnosed with chronic lung disease, which means she still has a lot of help from various machines for her breathing, but she is doing really well and should go onto low flow oxygen soon. 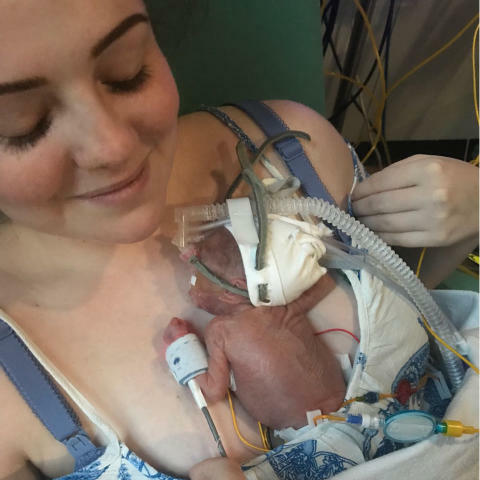 She also has retinopathy of prematurity, which is a potentially blinding eye disorder in premature babies, but her diagnosis is stage 1 so the doctors have said Ella-Rose will develop normal vision over time. Being a single Mum and going through this alone has been really tough, especially with my family all the way back in Durham. Having a place to stay at Crawford House has meant I have made friends with other families who have taken me under their wing and looked after me. The parents of the baby in the cot next to Ella-Rose’s are also staying at Crawford House and we have already said that when both babies are discharged we’ll organise play dates. They’re going to be buddies! 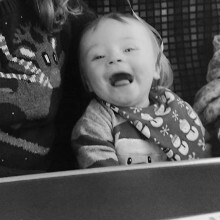 I’ve made friends for life, which has helped me to stay positive and upbeat for my baby because being stuck in a hospital day in day out could have been incredibly lonely. Things are looking good for Ella-Rose and there is even talk of discharging her to my local hospital soon. I am apprehensive about that though because it would mean leaving the comfort of Crawford House, the amazing house staff and of course the families who have been so kind to me, but it is also reassuring to know that it won’t be long before my baby leaves NICU and I am one step closer to taking her home. Sophie Leigh Williams, Ella-Rose’s Mum.